Much like the Black eyed beans chaat, this is another evening snack to satisfy my hunger pangs. But unlike the black eyed beans, these must be soaked in advance, at least 6-8 hours before you would like to prepare this chaat.. 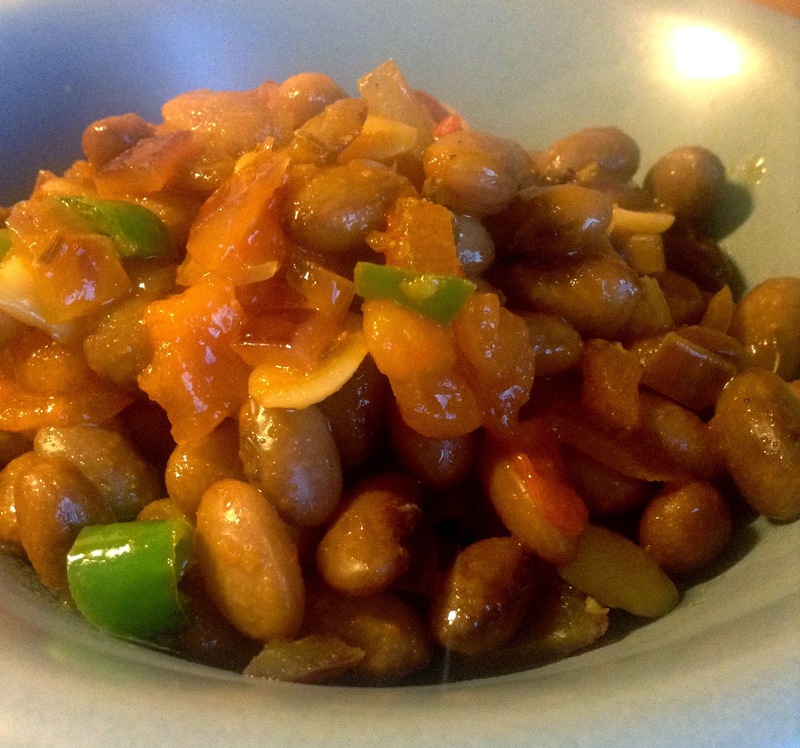 This chaat picture is of brown rajma, similarly red rajma can also be used with the same procedure. What I do is, whenever I prepare Punjabi Rajma Masala, I soak a handful of extra beans and keep the extra boiled beans in the refrigerator. Then I make this chaat the next day, so it turns out to be pretty easy for me. Heat oil in a pan and splutter the cumin seeds. Add onions and fry for few seconds, do not cook for long time. Add the tomatoes and green chilli. Add salt, red chilli powder, turmeric powder and mix well. Let cook for a minute. Don't let the tomatoes be soft or it will not taste like chaat. Add the rajma and mix well. Add chaat masala, mix well and cook for 30 seconds. Remove from heat, add lemon juice and serve.